People with medical disabilities need handicapped equipment for cars. Anyone who is in a wheelchair, or that wears prosthetic limbs can attest that it is necessary to have equipment on their cars in order to make them more useable to them. Handicap aids for cars will ease that transition for entrances and exits. Handicapped equipment for cars can also be used for anything from lifting a person in a wheelchair up into a vehicle, to making a vehicle more drivable. For instance, people who wear prosthetic legs can have hand controls put on the control panel or steering wheel of their vehicles that enables them to operate that gas pedal and brakes with their hands instead of their feet. A wheelchair lift for people who are in a wheelchair attaches onto the side of the vehicle and enables the person in the wheelchair to be able to be lifted up into the vehicle. There are also simple handicap items for cars that helps those who may need additional support entering or exiting a vehicle. Here are some simple and affordable car assistance devices that can be easily installed but still provide a lot of stability and support when exiting or entering your vehicle. The elderly and seniors will find entry and exiting out of cars much easier with these tools. Car Door Latch Grab Bar – If your vehicle has that “U” shaped loop or car door latch, you can insert this handicap vehicle aid in that opening and have a support device as you enter or leave a car. It is like a car door latch grab bar for your car. Nearly all cars have this loop/latch handle installed. I have seen people who weigh over 300lbs use this product without any issues. In fact, it has a 500lbs weight capacity. Best of all, it requires no installation. Use the device when you need to get in or out a car and remove it from the latch/hole when you need to close the car door. Anyone who has bad knees or recently had knee/hip surgery needs to buy this. When I injured my ankle, I had to move around gingerly. The car handle bar allowed me to put less weight on my foot as I stepped in and out. Trapeze For Car – For a trapeze looking car assistance device, you can purchase this simple to use vehicle aid that attaches to the window metal frame of your car door. Check out the picture above, it’s the one that looks like a triangle with a strong nylon strap attached to it. Car Swivel Cushions – This is a seat cushion that swivels in a circular motion so you can turn your body and legs out of a car without twisting or strain. With these three handicapped equipment for automobiles, you will no longer need transferring assistance in entering or exiting a car. It is perfect for achieving independence when driving your vehicle. The benefits offered by handicapped equipped vehicles are those of freedom. First of all, the person who is handicapped has more freedom to go to local places (such as the grocery store), or the ability to go far places (such as on vacation.) The person can also visit relatives near and far away when they have the mobility available that handicapped cars provides. There is no doubt that handicap equipment for cars improves a handicap person’s life by giving them more freedom, but it also makes things easier for them to do. Like, in the case of someone who wears leg prosthetics and can operate the gas and brake controls with their hands instead of their feet. Without such controls, the person may not be able to drive at all. 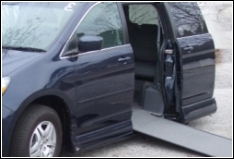 Many cars, vans and vehicles are capable of undergoing a handicap conversion with costs considerably lower than buying a new fully equipped handicap vehicle. The cost of handicap equipment for cars varies, but typically costs from around $800 to as much as $10,000, depending on the type of equipment requested. Insurance may or may not cover these things, but it is definitely advisable for the person wanting the equipment to check with their insurer to see if it is covered. Many times, the insurance company covers the items requested (as long as the need for them can be proven.) 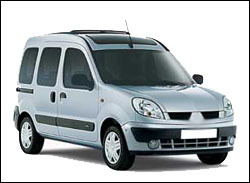 If you cannot afford this option, there are also transportation vans that are available for rental whenever you need to travel further than your mobility vehicle can take you.